Kollu/Horsegram is one of my favourite which helps a lot in weight management and I prepare this sundal at least once a week. Its health benefits are not only restricted for weight loss also it has anti oxidant property, helps to reduce cholesterol, relives cough and cold, and the list goes on. For detailed benefits check "All about Horsegram" post. Then why not Kollu enter your food menu? . 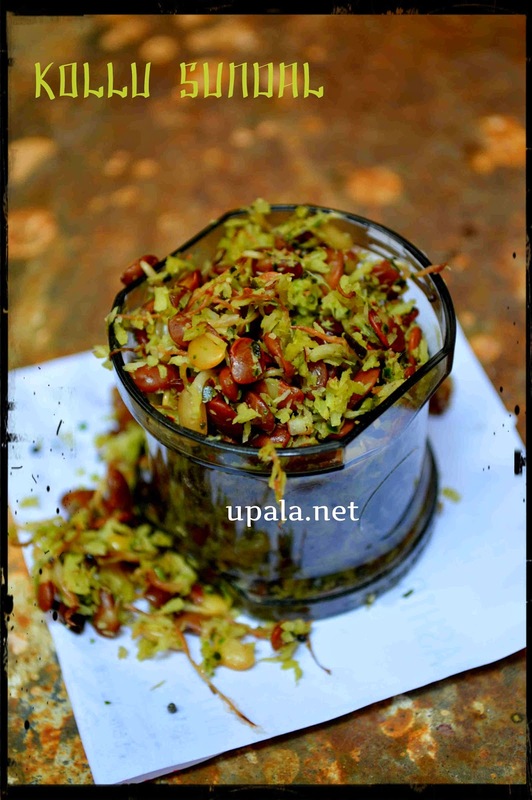 This sundal is very tasty and I am sure even your kids love it. 1) Wash and clean Kollu, and soak it overnight. 2) Next day drain the water and transfer it to a cotton cloth and hang it. This will lead to small sprouts. 3) Next day, pressure cook kollu with out water. I keep it in a small bowl on top of Rice in same cooker to cook both together. 4) Grind the ingredients given in "Coarse Grind" with out water. 5) Heat oil in a kadai and temper the items given in "To Temper". 6) Add Kollu and saute for a min. 7) Mix the ground mixture and salt to Kollu and switch off the gas. Your tasty Sundal is ready. 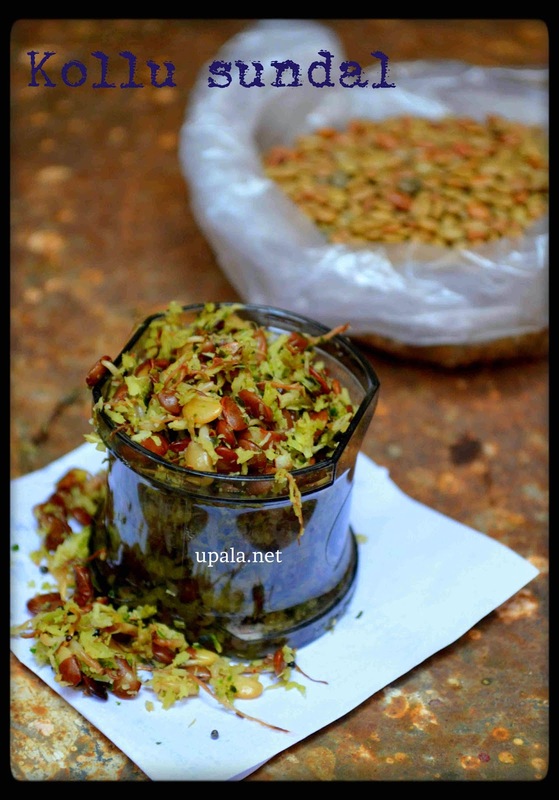 1) Sprouting brings additional nutrients so I did this sundal after sprouting. It is optional and you can skip that step too. 2) You can add a 2 tbsp of finely chopped onion while seasing for added taste. 3) You can pressure cook kollu with water and drain it. This water can be used for preparing Rasams, Kottu or Sambar. But I tried with out water still it worked for me. 4) If you are pressure cooking kollu separately unlike me give 4-5 whistles for sure.